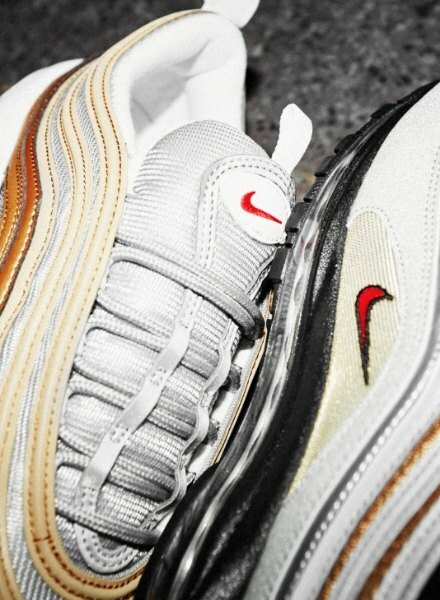 Expanding their ‘Metallic Gold’ pack, Nike just dropped two new colourways of the Air Max 97. Keeping everything that made the sneaker such a legend, the latest editions rep metallic silver and gold uppers – just in time for the festive period. Wanna know more? Stay locked in. Designed by Christian Tresser in 1997, Nike’s Air Max 97 has since become a major icon, with must-cop colourways, re-releases and new silhouettes flying out as soon as they land. This sneaker first dropped in the iconic ‘Silver Bullet’ colourway and takes its inspiration from water dropping into a pond. Hence the wavy overlays! It was the first Nike trainer to come sat on a full-length, visible Air unit, which took cushioning next level! The hidden lacing system is taken for granted now but back in ’97, it was a game-changer! An easy feature to overlook but a huge part of its DNA. Nike’s latest drops are the 3rd and 4th instalment of their ‘Metallic Gold’ pack. 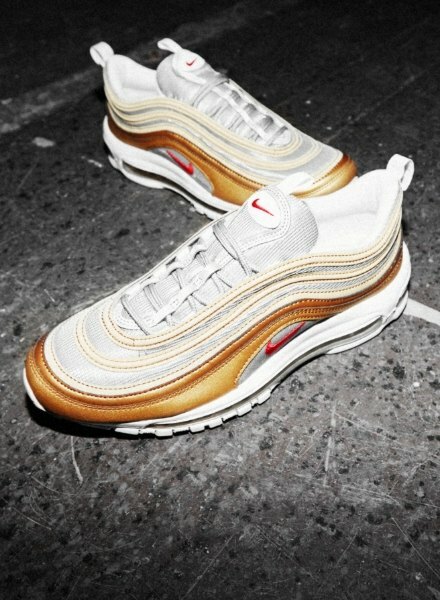 Both sneakers merge two of the AM97s most iconic colourways; the Gold and Silver Bullets. Each have a breathable textile upper that reps premium leather overlays in either gold or silver. With the legendary Air unit underfoot, they’re finished with a reflective detailing and a red, mini Swoosh embroidered to the sidewalls. Cop the new collection here.